April Events And Ideas That Will Change Aquarius Life!  Mercury will go retrograde in your communication sector at the beginning of April, so if you’re planning to sign important contracts, make serious decisions, or have significant conversations it’s better to do it after April 15. You want to move forward but you feel that you’re stuck. Try to take the situation as a chance to relax and make a pause. On April 15, Mercury will finally turn direct bringing you many strange ideas and innovative plans. The time will be extremely favorable for you to put them into practice. Get ready for productive changes in the period from April 15 to April 24; it concerns your romantic life, too. Your chances of meeting the right one are the highest between April 25 and May 19.